As you age, you start to develop fine lines and wrinkles. Luckily, the Rejuvenation Center offers a solution with our Botox® and Xeomin® treatments. When it comes to aesthetic skin care, Botox® and Xeomin® are among some of the most powerful treatments to help you combat fine lines and wrinkles. With this powerful treatment, you have the opportunity to erase years off the appearance of your face. Botox® and Xeomin® not only helps to diminish the look of wrinkles and fine lines, but it also helps to prevent them from deepening even further. If you’re ready to make your face appear younger and smoother, request a free consultation at the Rejuvenation Center today! During the process, Botox® and Xeomin® will be injected into targeted muscles. Fine lines and wrinkles appear due to use of specific muscles on a daily basis. The treatment targets specific muscles, and once injected, Botox® and Xeomin® prevent the muscles from fully contracting, thus decreasing the appearance of lines. One treatment of Botox® and Xeomin® typically lasts for three to six months. The duration and strength of each treatment depends on the dose of the injection. If your face has an aged appearance, Botox® and Xeomin® may be the right solution for you! This powerful treatment is used for wrinkles that appear on the forehead, in between your eyes, or for crows feet. Botox® and Xeomin® can also be used for vertical lines in your lips and even a lip enhancement! The Rejuvenation Center is proud to serve patients all across Ohio, West Virginia, and Pennsylvania. 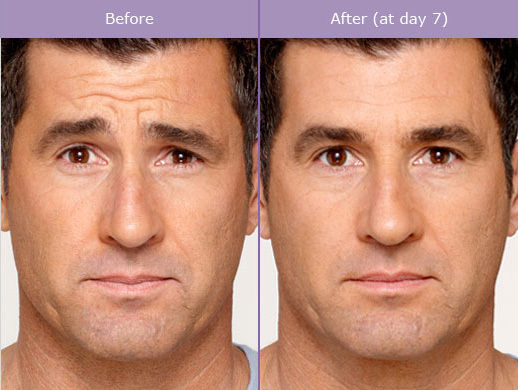 Those looking for a rejuvenated and more youthful appearance can enjoy the benefits of Botox® and Xeomin®. This innovative treatment is growing in popularity due to its less invasive approach and dramatic results. Schedule a consultation with the Rejuvenation Center today to get started on the path towards a more natural-looking and refreshed appearance*. *Individual results vary. Best results are promoted by a healthy lifestyle. Images do not constitute a promise or representation of any particular outcome.